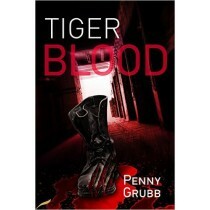 Tiger Blood is book 2 in Penny Grubb’s Webber & Ahmed series of police procedurals. 30 years ago a get-away car was dumped – 15 years ago a middle-aged woman committed suicide – last night someone hacked the city’s traffic systems. With stretched resources Detective Superintendent Martyn Webber must concentrate on the here and now, but the past is about to rear up and cause mayhem. It’s not only his professional life that is about to be turned on its head. Miranda is a young tutor in an Art college in London. She is dedicated to her work and has a vibrant social life in Camden Town and an exciting new relationship with Mike, a Scottish mountain climber. Her easy relationship with her students is disturbed when she discovers that one of them is stalking her. Then her close friend and colleague, Anni, also begins to quietly insinuate herself into Miranda’s life; taking over her flat, establishing friendly relations with Miranda’s brother and his pregnant girlfriend, and becoming suspiciously close to Mike. As Miranda prepares for an exhibition of her paintings in a Camden gallery, tensions in her life increase and she is faced with issues that need to be resolved. While she becomes ever more involved with her painting and her study of the painter, Munch, she realises that her relationships with the people around her are beginning to unravel and events in both her private life and her career as a tutor take an unexpected turn. She loses faith in the people that she had trusted, and faced with unforeseen problems, she has to confront the challenges in her life and make some crucial decisions. Attempting to prevent an explosive political situation turning ugly is proving difficult enough for Mike Nash, without the added pressure of clearing an innocent man’s name for his own safety. 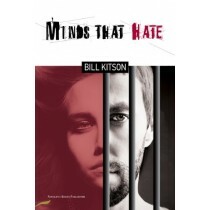 Minds That Hate is a powerful, fast-paced crime thriller from Yorkshire based writer Bill Kitson. 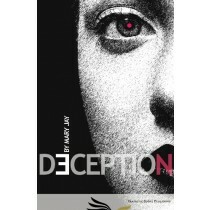 Treachery and deceit coincides with passion when a woman is found dead on her wedding night. A Kind of Justice is gripping crime at its finest from best-selling author, Angela Dracup. 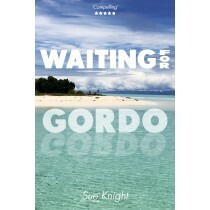 Miranda should have no cares in Sue Knight’s eco-thriller, Waiting for Gordo. She’s with her dependable husband, Jim, on a paradise island with a group of friends. Their daughter is grown up and has flown the nest. They have no ties and no worries. So why the shades of unease? Is it the rustle of unseen creatures in the low scrub, the strangely watchful Bathroom Cockroach … or is it that Jim’s dive buddy Gordo is delayed on an outlying island waiting for a tropical storm to blow over before their boat can put to sea. 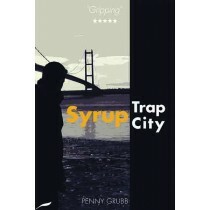 Syrup Trap City is Penny Grubb’s 7th crime novel. Set in the Northern port of Hull, it features private investigator, Annie Raymond, her boss, the enigmatic Mrs Peters, and Detective Ayaan Ahmed who Annie last met in very trying circumstances in York (see Buried Deep and Tiger Blood). The story opens as the year draws to a close and Hull looks forward to a momentous year. The wider landscape passes Annie by as the realisation dawns that this routine job is not all that it seems. As she is faced with an unexpected and unwelcome reminder from the past, she realises just how badly she has taken her eye off the ball. The Dummies’ Guide to Serial Killing and other Fantastic Female Fables is a charity anthology featuring best-selling author, Danuta Reah, and critically acclaimed writer, Mary Brown, alongside the winning entries from our Fantastic Female Fables competition. 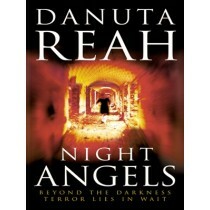 Dark, edgy and unbearably tense, this extraordinarily accomplished first novel is both a love story and a gripping psychological thriller of immense power. Debbie Sykes is a young college lecturer whose ordered life is about to be changed forever. One stormy winter’s night, waiting for the late train home, Debbie is acutely aware of being alone – the woman who usually shares her evening vigil is not there. Vulnerability turns to fear, though, when she turns to see a sinister figure looming between her and the safety of the street. The next day, she hears that the missing woman has been found murdered by the man they call the Strangler, a brutal killer who dumps his victims on isolated stretches of railway track. The police renew their efforts to find the murderer before he strikes again, but how much time do they really have? 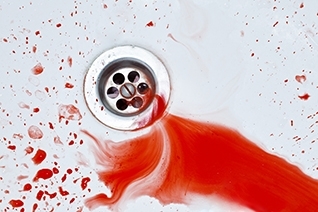 When Debbie’s story is publicized by an unscrupulous journalist, it seems as though the jaws of an invisible trap are beginning to close around her – strange things start to happen and the foundations of Debbie’s life subtly shift. Only Rob Neave, ex-policeman and college security officer, appears aware of the danger but he is distracted by his own tragic past. The clock is ticking, and it will be midnight far sooner than anyone thinks. 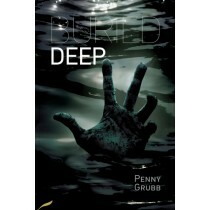 Buried Deep is Crime Dagger winner Penny Grubb’s 5th book in her private investigator series, but also book 1 of her Webber & Ahmed police procedurals. In the aftermath of a flash flood in the historic town of York, something nasty emerges from the surging waters. It sets off a police investigation and a train of events that reach further than anyone anticipated. And while they’re struggling to understand the far-reaching consequences, no one has thought to look nearer home.